Pink combo with a touch of red and white, proper for any occasion, order today and we make it possible. Standard Bouquet includes 6 stems. Deluxe Bouquet includes 7 stems. 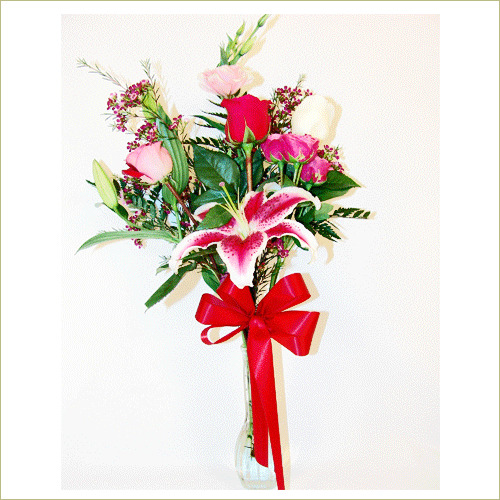 Premium Bouquet includes 8 stems.